and minimize bad ones so that you’re putting your best foot forward. You have created a Review and Lead Generating system all at the same time. Your Reputation is shown in Search Engine Results, and Customers are now more likely to choose YOUR business for their dollars. 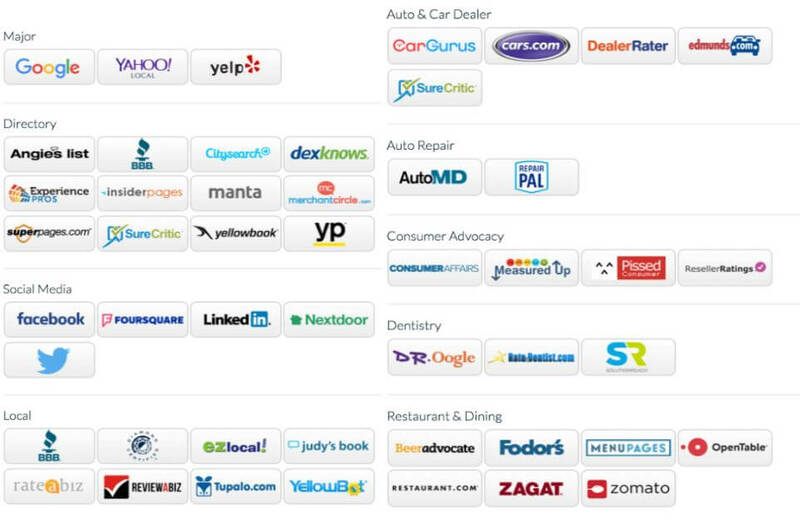 Acquire more customer reviews and easily gather them in one place with our simple process. 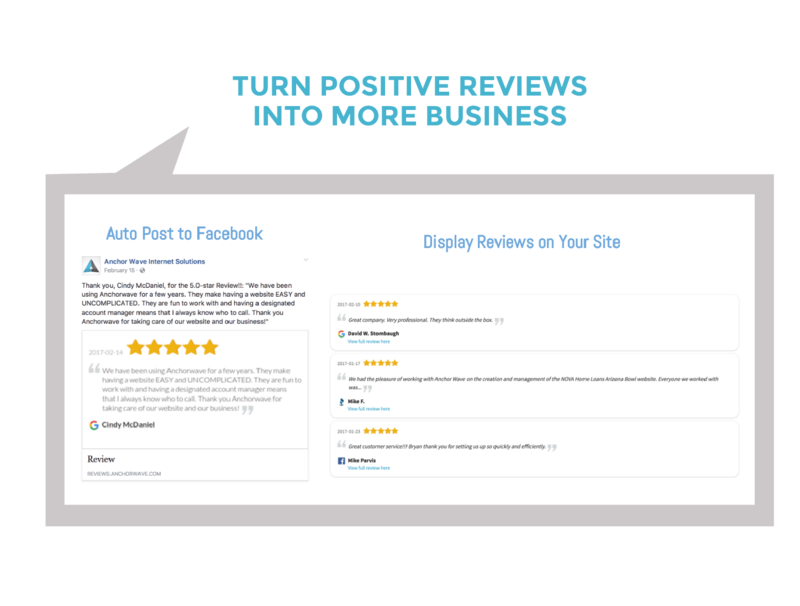 We automate a multi-channel acquisition process via email and print and we create a page to help you get those great reviews from happy customers. We optimize the process with Google, Facebook and the industry-specific sites that matter to you. This system works to divert these before going public, putting control back in your hands. 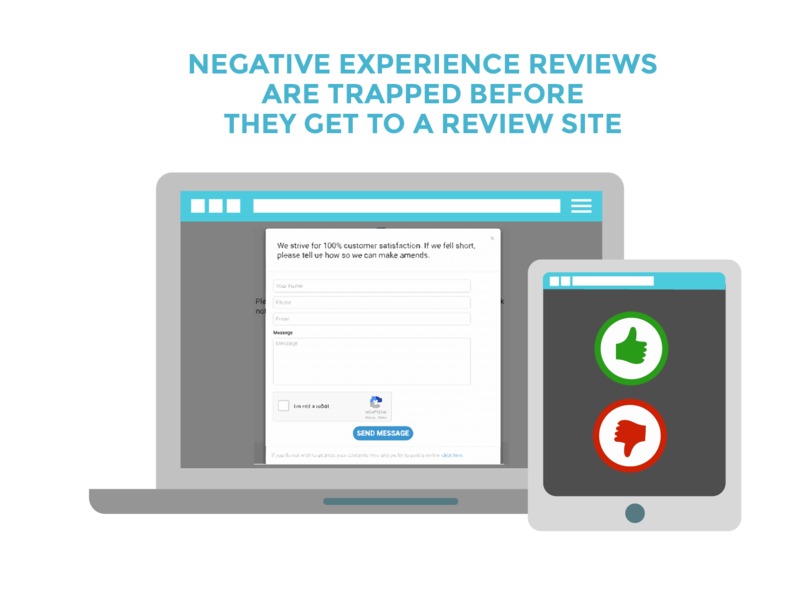 Getting a bad review hurts, but it’s important that you handle it well. We work with you to craft responses that let your customer service shine and minimize damage from unhappy customers.